Personal Property Terms: Selling Online Only. Please Review All Online Terms Prior To Bidding. 10% Buyers Premium added to the final bid price to determine final selling price. WE DO NOT SHIP ITEMS. Make arrangements to pick-up your items. Pick-up is scheduled for Thursday, April 18th from 12-6 PM at 8288 Bradley Creek Rd, Lascassas, TN 37085. Selling for the Lester Estate. FIREARM TERMS: Comas Montgomery Realty & Auction Co., Inc. is assisting the Estate in finding buyers for the Estate's firearms. All sales of firearms are made by the Estate. Buyers of long guns must be 18 or older. Buyers of hand guns must be 21 or older. Because we do NOT know the complete history of any of these firearms, they must be inspected by a competent gunsmith to determine if the firearm can be safely fired. Comas Montgomery Realty & Auction Co., Inc. shall be held harmless from any liability resulting from the sale or use of any firearm sold at auction. Bidders must abide by any local, state, or federal laws set forth on any firearm purchase. In order to purchase this item, you must be of legal age. The registered/winning bidder must be the one to pick up and pay for the firearm. You must pay for the firearm on the pick-up date � THURSDAY January 10th from 1-5 PM at 8288 Bradley Creek Rd, Lascassas, TN A representative of the estate will transport each firearm to Bullseye Gun, 130 Shelby St, Murfreesboro, TN 37127 for background check and pick up by each buyer. The cost of the background check and processing is $30.00 for each buyer and firearm paid to Bullseye Gun The firearms will be available for pick up ON or AFTER FRIDAY January 11th after successfully passing the background check. You can pick up any time up to 10 days after Friday. Bullseye Gun is neither a representative for the estate (Seller) nor Comas Montgomery Realty and Auction Co., Inc. Out of State Buyers will need to contact Bullseye at 615-900-1098 for additional shipping and handling of the firearms. 1. Bidding Increments: Each Comas Montgomery Realty & Auction Company Inc. auction may have different bidding increments. The software will calculate the next bid amount before submitting the bid. 2. Auction Ending: Comas Montgomery Realty & Auction Co., Inc. Online Auctions are timed events and all bidding will close at a specified time. 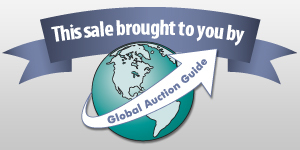 Comas Montgomery Realty & Auction Co., Inc. Online Auctions also have an auto-extend feature. Any bid placed in the final five (5) minutes of an auction, the auction ending will be automatically extended five (5) minutes from the time the bid was placed. Example: If an auction scheduled to close at 6:00 receives a bid at 5:59, the close time will automatically extend 6:04. The auto extend feature remains active until no further bids are received within a five (5) minute time frame. The extension time will apply to individual lots only. 3. Outbid Notification: Until the auction begins to close, the bidding software will notify bidders by email when they have been outbid. Bidders may also find out if they have been outbid by refreshing the individual lot information. Due to varying internet connectionsspeed, please place a max bid or constantly monitor the auction at close of bidding. Sometimes email notifications can be delayed. 4. Property Information & Inspection: Comas Montgomery Realty & Auction Co., Inc. is not responsible for any missing or incorrect listing information. Comas Montgomery Realty & Auction Co., Inc. has attempted to provide accurate descriptions of all items in the auction. However, it is the bidder's responsibility to inspect the item and determine the condition of each lot. Descriptions that are provided by Comas Montgomery Realty & Auction Co., Inc. are provided in good faith and are matters of opinion. The only recourse for the buyer of an item or items that are missing or damaged prior to pick up is not paying for the item. If the pictures displayed with descriptions do not appear to match, contact [email protected] or call 615.895.0078 to report the auction date and item number. 5. Sold "As Is Where Is": Comas Montgomery Realty & Auction Co., Inc. and the seller furnish all auction items to buyers "As Is", unsupported, without warranty of any kind. Comas Montgomery Realty & Auction Co., Inc. and the seller disclaims all warranties, express or implied, including the implied warranties of merchantability and fitness for a particular purpose. Items are sold in their actual current condition, with all faults and defects, and with all errors of description. Comas Montgomery Realty & Auction Co., Inc. liability to a purchaser will never exceed the purchase price actually paid for an item. Bidders accept all auction items �with all faults�, whether or not immediately apparent. Bidders are responsible for ascertaining actual current condition through personal inspection and careful review of the description, pictures, video andor support documentation. Every bidder agrees that his or her decision to bid and the amount he or she bids have been based solely on his or her own independent inspection and evaluation of the auction items. 6. Auctioneer's Discretion: Comas Montgomery Realty & Auction Co., Inc. has full discretion to modify the date and time, order, and details of the sale of any item or conduct of any auction for any reason or no reason at all, including but not limited to technical issues, emergencies, and convenience of Comas Montgomery Realty & Auction Co., Inc. or the seller. Comas Montgomery Realty & Auction Co., Inc. reserves the right to modify, change, or remove usernames at any time. 7. Server & Software Technical Issues: In the event that there are technical difficulties related to the server, software or any other online auction-related technologies, Comas Montgomery Realty & Auction Co., Inc. reserves the right to extend bidding, continue the bidding, or close the bidding. Neither the company providing the software nor Comas Montgomery Realty & Auction Co., Inc. shall be held responsible for a missed bid or the failure of the software to function properly for any reason. Email notifications may be sent to registered bidders with updated information as deemed necessary by Comas Montgomery Realty & Auction Co., Inc. 8. Terms: Comas Montgomery Realty & Auction Co., Inc. reserves the right to reject any and all bids for any reason. An accepted bid is a legal binding contract. Items become the full responsibility of the bidder at the time that payment is received. The bidder assumes all risk of loss or damage to the item at that time. Comas Montgomery Realty & Auction Co., Inc. reserves the right to resell any personal property that is not paid for in full by the conclusion of the state pickup date. In any such event, the bidder will still be responsible for payment for the original purchase and the costs of collection of this payment andor damages resulting for the resale of the property. Buyer and or Bidder agrees to hold harmless and indemnify Comas Montgomery Realty & Auction Co., Inc. and its Agents, Owners, Directors, Employees and its Representatives from any and all claims, damages or suits including but not limited to awards, judgments, costs, fees, etc. 9. Buyer's Premium: There will be a ten percent (10%) Buyer�s Premium added to final bid price to determine the final selling price of the auction lot. 10. Payment: Payment must be made before item(s) are removed by the specified date on the auction advertisement. All sales are final. There are no returns, refunds, or adjustments. Comas Montgomery Realty & Auction Co., Inc. accepts the following forms of payment: Cash, Wire Transfer, Cashier�s Check and Money Orders. 11. Auction Cancellation: Comas Montgomery Realty & Auction Co., Inc. reserves the right to cancel this auction, or remove any item or lot from this auction prior to the close of bidding. 12. Bidder Verification: The identity of all bidders will be verified. Bidding rights are provisional, and if complete verification is not possible, Comas Montgomery Realty & Auction Co., Inc. will reject the registration, and bidding activity will be terminated. The Seller and Comas Montgomery Realty & Auction Co., Inc. reserve the right to preclude any person from bidding if there is any question as to the person�s credentials, mental fitness, etc. 13. Bidder Responsibilities: Bidder responsibilities include, but are not limited to: Bidders agree to keep their username and password confidential, as they are responsible for ANY and ALL activity involving their account. If the registered bidder's user name is offensive to Comas Montgomery Realty and Auction Co., or in their sole opinion detrimental to Bidding Activity, then Comas Montgomery Realty and Auction Co., reserves the right to delete the bidder from bidding or unilaterally change the username with notification to the Bidder. When using the web site you must obey any and all local state and federal laws. Violations will result in termination of web site use privileges. Auction company employees andor auction company may bid on auction. We gather aggregate information from the web site which may include but is not limited to: number of page visitors, most visited pages, and any and all correspondence. 14. Personal Property Pickup: All items, must be picked up from the address listed on the auction, as well as the date listed, once Comas Montgomery Realty & Auction Co., Inc. has received and acknowledged payment in full. Items will not be released to buyers until payment is made in full to Comas Montgomery Realty & Auction Co., Inc. Bidders are responsible for rigging, loading, and moving all items purchased without assistance from Comas Montgomery Realty & Auction Co., Inc. If you are the winning bidder on large items, please bring help and equipment to load the item. 15. Security: Surveillance and security are on site; please do not enter the property except at the specified preview date and time or by appointment. 16. Default: If purchases are not settled by the specified pick up day, it will be considered in default. Upon default the bidder will be black listedblocked from bidding on Comas Montgomery Realty & Auction Co., Inc. auctions, as well as MarkNet Alliance auctions and may be charged ten percent (10%) of bid price or five hundred dollars ($500), whichever is greater. All defaulted items may be offered to the next highest qualified bidder at the discretion of Comas Montgomery Realty & Auction Co., Inc. The bidder agrees to pay all reasonable attorney fees and other costs incurred by Comas Montgomery Realty & Auction Co., Inc. in its efforts to collect unpaid funds from the bidder. The bidder agrees that a fee of two percent (2%) of the outstanding balance per month be added to any unpaid balance due Comas Montgomery Realty & Auction Co., Inc. Any dispute will be tried in a court of jurisdiction in Rutherford County, Tennessee. EACH PARTY HEREBY KNOWINGLY, VOLUNTARILY AND INTENTIONALLY WAIVES (TO THE EXTENT PERMITTED BY APPLICABLE LAW) ANY RIGHT IT MAY HAVE TO A TRIAL BY JURY OF ANY DISPUTE ARISING UNDER OR RELATING TO THIS AGREEMENT AND AGREES THAT ANY SUCH DISPUTE SHALL BE TRIED BEFORE A JUDGE SITTING WITHOUT A JURY. 17. Guaranty Agreement: By submitting a bid in the name of a business entity or corporation, the individual submitting the bid enters into a guaranty agreement whereby he or she personally guarantees payment to Comas Montgomery Realty & Auction Co., Inc. of any bid amount not paid when due by the business entity or corporation, for any reason, together with all collection expenses incurred to enforce collection, including a reasonable attorney's fee. 18. Limitation of Liability: If, for any reason, Comas Montgomery Realty & Auction Co., Inc. is unable to make available or deliver any Purchase, or portion thereof, or documentation required in respect of any Purchase at time of pickup, the sole liability of Comas Montgomery Realty & Auction Co., Inc., if any, shall be the return of any paid monies in respect of such Purchase upon its return by Purchaser. 19. Disputes:	Any dispute between Comas Montgomery Realty & Auction Co., Inc., its Agents or Representatives and the Buyer(s) will be tried in a court of jurisdiction in Rutherford County, Tennessee. By bidding on any item, buyer agrees to all terms and conditions set forth. 20. Age Requirement: All bidders must be eighteen (18) years of age or older. 21. Firearms Regulations: Bidders must abide by any local, state, or federal laws set forth on any firearm purchases. 22. Purchased Items: All buyers are responsible for making sure that all items purchased are accounted for before leaving the designated pick-up location after the auction has closed. 23. Acceptance of Bid Prices: All bids are subject to seller confirmation unless noted as ABSOLUTE. 24. Loading, Rigging and Dismantling Items: While personnel at loading sites may assist Buyers, Buyer assumes all responsibility and liability for the loading, rigging, dismantling, securing, transportation, and unloading of purchased goods. Buyer to hold the Seller and Comas Montgomery Realty & Auction Co., Inc. harmless for any property damage or injuries related to the loading, securing, transportation, and unloading. Assortment of Vintage Signs- JOHN DEERE, PURINA, HERSHEY’S, Etc. Variety of Vintage Signs- JOHN DEERE, NEHI, WATERLOO BOY, Etc. Misc. Items- Duck Call, Turkey, Marbles, Etc. Misc. Items- Cheese Slicer, Honey Spoons, Can Opener, Scissors, Etc. Misc. Items- Honey Jar, Martini Glasses, Coffee Grinder, Etc. Misc. Items Measuring Cups, Jars, Plate, Etc. Misc. Items- Knife Sharpeners, Pot Holders, Etc. Misc. Items- Nativity Scene, Mickey Mouse Decoration, Bald Eagle, Etc. Misc. Items- Can Opener, Cutting Boards, Cook Book Holder, Etc. Assortment of Measuring Cups, Wooden Spoons, Etc. Misc. Items- Surge Protector, Coffee Maker, Timers, Etc. Misc. Items- Rocking Horse, Snow Globes, Figurines, COCA-COLA Truck, Etc. Misc. Items- Glue, Wood Filler, Tape, Wood Putty, Etc. Misc. Items- WINDEX Pads, Nails, Textile Deodorant, Etc. Misc. Items- Plastic Cups, Glass Bowls, Etc. Misc. Items- Felt Blankets, Belt Buckles, Glass Bottles, Etc. Misc. Items- American Flags, COCA-COLA Lunch Box, Plate Hangers, Baby Crib Night Light, Etc. Misc. Items- Silverplated Candlestick Holders, Decorative Rocking Horse, Etc. Misc. Items- GPS, Radio, Phone, Cowbell, Belt Buckle, Etc. Misc. Items- Photo Albums, Wallets, Pins, JACK DANIELS Playing Cards, Watches, Etc. Misc. Items- Surge Protectors, Deluxe Anniversary Edition MONOPOLY, Peg Racks, The Farming Game, Etc. Misc. Items- Checkers, Blanket, Spools of String, Etc. Misc. Items- Bungee Cords, SAMSUNG Wall Mount, Extension Cord, Camera Bag, Etc. Assortment of Tins- CRACKER BARREL, RIGGLEYS, RUSSEL STOVER, JACK DANIELS, Etc. Misc. Items- Decorative License Plates, Glass Pitcher, Antique Doll, Etc. Misc. Items- File Folders, Plant, Recorder, Etc. Assortment of Items- Antique Oil Can, ROCK CITY Birdhouse, Divider, Etc. Misc. Items- Nutcracker, Plaque, Etc. Misc. Items- COCA-COLA Tin, Clock, JOHN DEERE & CO-OP Thermometers, Etc. Misc. Items- Racing Scanner Headphones, Book Bag, Etc. Misc. Items- Watches, Bracelets, Hats, Necklaes, Etc. Misc. Items- STREETPILOT GPS, Oscillating Sprinkler, Playing Cards, Etc. Misc. Items- JOHN DEERE Scale Model Toys, JOHN DEERE Plate, Wind Chimes, Etc. Misc. Items- Coffee Mugs, Bowls, Etc. Misc. Items- HOME DEPOT Coffee Mug, JOHN DEERE Birdhouse, Hats, Etc. Collection of Vintage Signs- COCA-COLA, BLACK CAT, FORD FARMING, Etc. Misc. Items- Ideal Jersey Cow Statue, Yellowstone Hat, Etc. Misc. Items- ERTL JOHN DEERE Tractor, Hour Glass, Race cars, Etc. Assortment of Collectible Toys- FARMALL Tractor, Toy Banks, Cars, Etc. Misc. Items- Toy Car, Tiddly Winks, Yo-yo, Marbles, Etc. Misc. Items- Bee Keeper Suit, Lights, Corks, Etc. Various Items- Flatware, NOKIA Phone, Etc. Misc. Items- Paintbrushes, Power Strips, Hammer, Etc. Collection of Electronic Item- Power Strip, DVD Player, Headphones, Etc. Misc. Items- DVD’s, Legal Pads, NIKON Camera, Etc. Various Toy Guns- Cap Gun, Pellet Gun, Etc. Variety of Cookware- Cheese Grater, Pan, Etc. Decorative Pitchers, Plates, Cups, Etc. Misc. Items- Toy Barns, Toy Banks, Trays, Etc. Misc. Items- Campfire Popcorn Makers, S’more Maker, Etc. Misc. Items- Baseball Glove, JOHN DEERE Umbrella, Laptop Case, Etc. Misc. Items- Pocketbook, Bibles, Heating Pad, Etc. Misc. Items- Chimes, Paper Divider, Etc. Misc. Items- DVD’s, CD Player, DVD Player, Etc. Misc. Items- Decorative Plant, Tissue Box Cover, Night Navigator, Etc. Misc. Items- Scale Model Tractors (FARMALL, FERGUSON, FORD), Cat Figurines, Glass Vases, Etc. Misc. Items- Pipe, Plates, Antique Clippers, Sifter, Etc. JACK DANIELS Sign, Framed Art, Etc. Misc. Items- Baskets, Decorative Umbrella, Tin Bucket, Etc. Misc. Items- Torch Fuel, Liquid Candles, Steel Wool, Etc. Misc. Items- Portable LCD Television, Car Ionizer, Etc. Misc. Items- RUBBERMAID Tupperware, Bags, Hair Rollers, Etc. Assortment of Bags- HUSKY, FASHION CLUB, Etc. Misc. Items- Basket, Bird Feeder, Cookbooks, Etc. Misc. Items- Ceramic Whiskey Jug, Mugs, Figurines, Etc. Misc. Items- License Plate, Books, Etc. SALVAGE LOT (Buyer Responsible for Full Removal)- Christmas Decorations, Binders, Wrapping Paper, Etc. Misc. Items- Christmas Decorations, Electric Candles, Etc. SALVAGE LOT (Buyer Responsible for Full Removal & Shelves NOT Included)- Books, Pillows, Sleeping Bag, Printer, Etc. Misc. Decorative Items- Clock, Bird, Pots, Etc. SALVAGE LOT (Buyer Responsible For Full Removal)- Cement Blocks, Limber, Treegator Bags, Etc. Assortment of Wall Art- Decorative Plates, Kerosene Lamp, Dream Catcher, Etc. Misc. Items- Pistol Cleaning Set, 12 Gauge Ammo, Water Bottle, Turkey Call, Etc. Misc. Items- Antique Shotgun Cleaning Kit, .44 and 30-30 Ammo, .58 Cal Lead Balls, Leather Gun Sleeve, Etc.